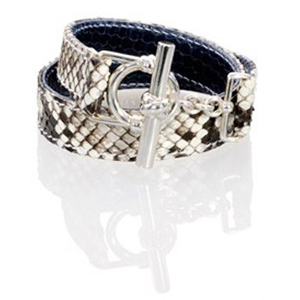 Handmade double-wrap snake leather bracelet with a sterling silver toggle that carries the signature MMzS Knot Design. 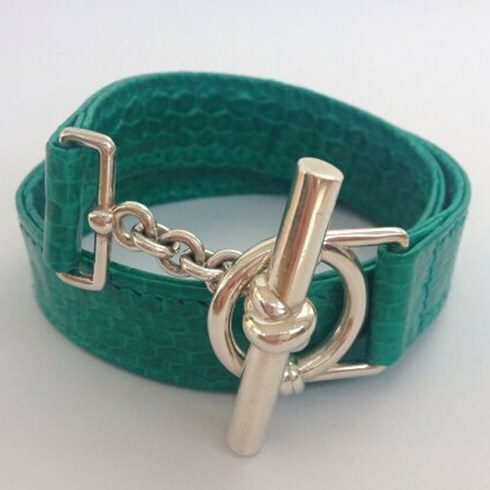 The bracelets are stitched in the same colour as the leather. 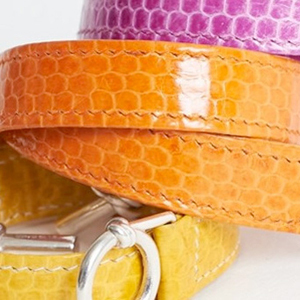 The snake leather is dyed and has an even colour with the snake skin structure being clearly visible. The stitching is done in the colour of the leather. 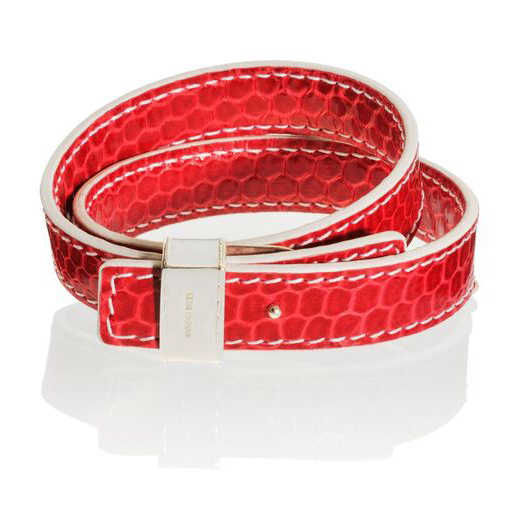 Please note that the snake skin is a natural product and each bracelet has a unique structure. The bracelets are entirely handmade in London. The silver toggle carries the hallmark of the London Assay Office and the maker’s mark ‘MMzS’. Dimensions: The leather strap is 1.5cm wide, the bar of the toggle is 3cm long. These bracelets are made to order in your required length. 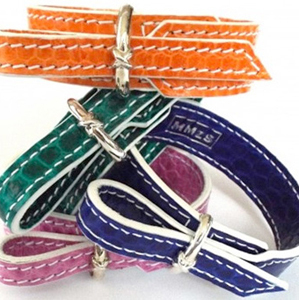 We suggest a length that is equal to 2x the wrist circumference plus 1 inch. Please notify us by email of the required length, stating your order number and also if you have special requests regarding the colour of the stitching. Please note that this piece is made to order. The delivery time is approximately 2 weeks.